Confusion and disorientation are common in people living with dementia. 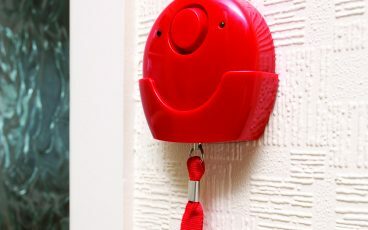 However, with certain types of dementia, regularly presenting information about a place, person or time can be an effective way to maintain or improve cognitive function. 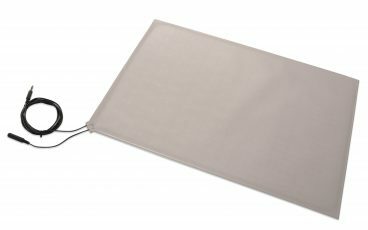 We offer a range of products that can help with this. 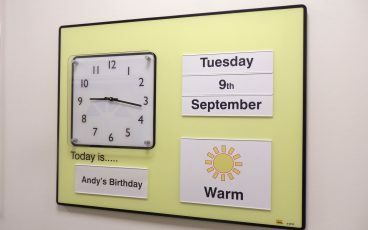 People living with dementia may also perceive their surroundings slightly differently than they used to, including a decreased ability to distinguish between similar colours, such as blue and green, or recognise objects of low contrasts. For example, they may not be able to see broccoli, if it’s on a green plate. On the other hand, there is evidence that using red, a psychologically stimulating colour, can be helpful to emphasise what is important in a room. 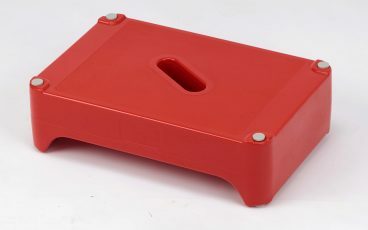 For example, the location of the toilet can be highlighted by using a red toilet seat. 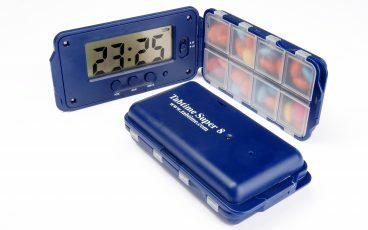 Featuring eight pill compartments and a programmable timer and alarm. 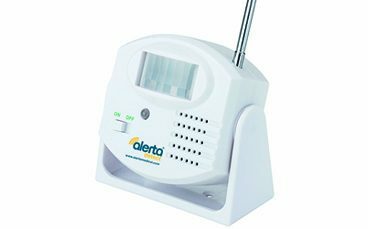 Motion sensor that plays a pre-recorded message when it detects movement. 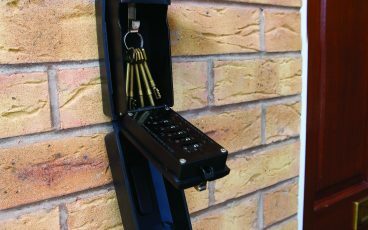 Large capacity, easy to use key safe with a neoprene weatherproof disguise. 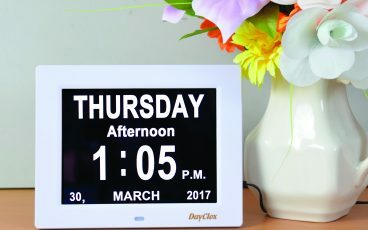 Clearly shows the day, date, year and time, along with the period of day in a single display. 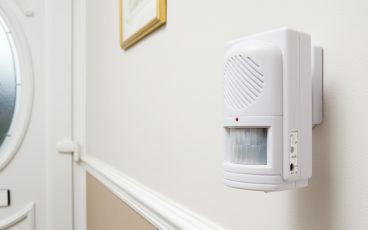 Wall-mounted alarm activated by pulling the ripcord, which triggers a powerful siren and flashing LED. 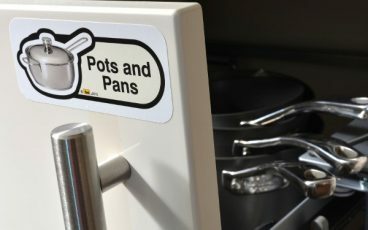 Easy to use wayfinding stickers to help locate everyday items in the home. 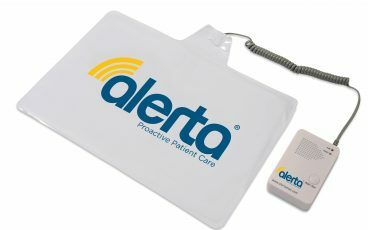 Communicate useful information or important reminders, such as the names of carers due. 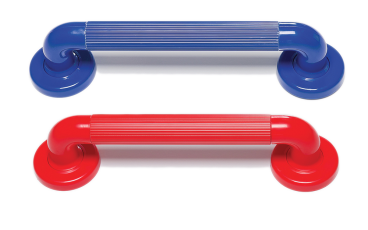 Dementia-friendly blue and red grab rails for maximum visibility. 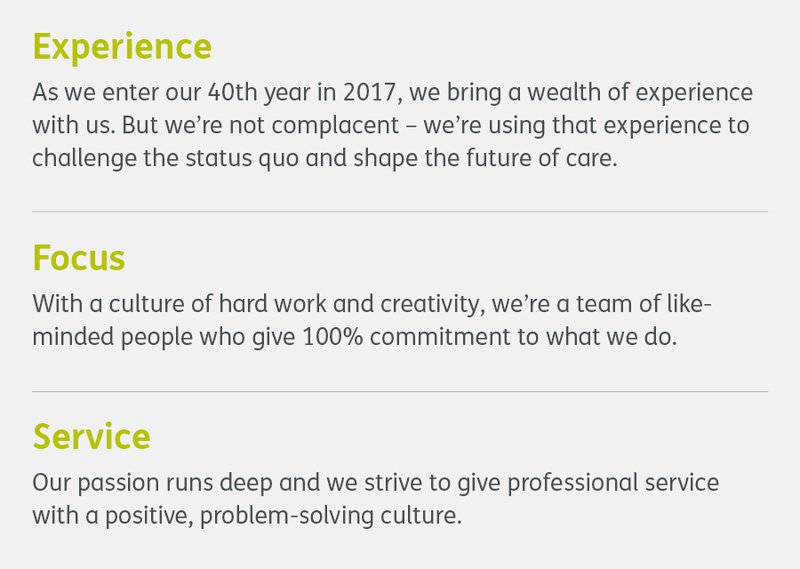 Dementia-friendly. 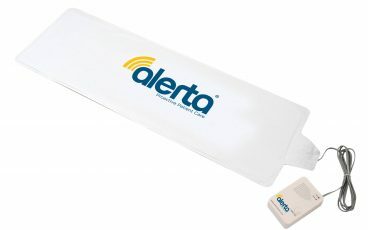 Increase the visibility of the toilet and make getting on and off the toilet easier. 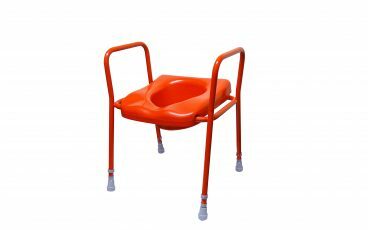 Combines a raised-height toilet seat with supportive toilet frame surround. 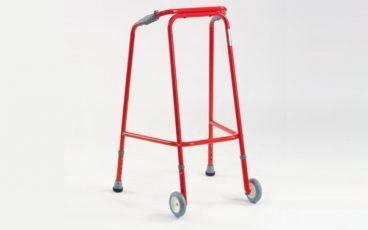 In dementia-friendly red. 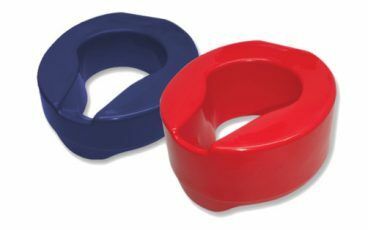 Dementia-friendly red bath step to help getting in and out of the bath. With easy-push height adjustment and soft-feel handgrips. Dementia friendly.